2. To provide exceptional young players with the professionalism, coaching and structure to compete at local, state, national, and international levels in order to gain exposure to maximize opportunities beyond the club competition level. To provide all players the opportunity to meet their fullest potential. Teaching teamwork, sportsmanship, technique, skills, athleticism, and tactics in a way that is specific to every player’s developmental needs. The Sting Soccer Group is committed to providing excellence in all areas of development, from Academy age young girls, through club age young ladies, and eventually collegiate and professional young women. Our focused goal of creating a strong, complete soccer player, coupled with the instillation of high moral value and character is paramount to Sting realizing success for each young female athlete to excel well beyond their soccer years. The Sting Soccer Club was born in 1973 in an environment where women’s sports were uncommon, modified, and in their early stages of existence. It was a common belief at the time that strenuous exercise was unhealthy for females and sports were modified to limit the activity to a minimal level. Basketball was played with three players on each side of the court to prevent females from having to run the length of the court, and running was limited to no more than 880 yards at a time. There were very few associations at the time that believed in equal opportunity in sport, and with limited facilities, fields, and playing areas, male sports took precedence in almost every way. At the time Lamar Hunt, and a few key pioneers of women’s soccer, including Sting Soccer’s Bill Kinder, created leagues and put together teams of female athletes at the high school age who played in a league in Dallas called the High School Girls Soccer League (which has now grown into the prestigious and nationally recognized Lake Highlands Girls Classic League). The game of soccer for women in Dallas was born and it spread like wildfire with females all over able to finally participate in sports in a way that allowed them to truly be active and express themselves as athletes on the field. 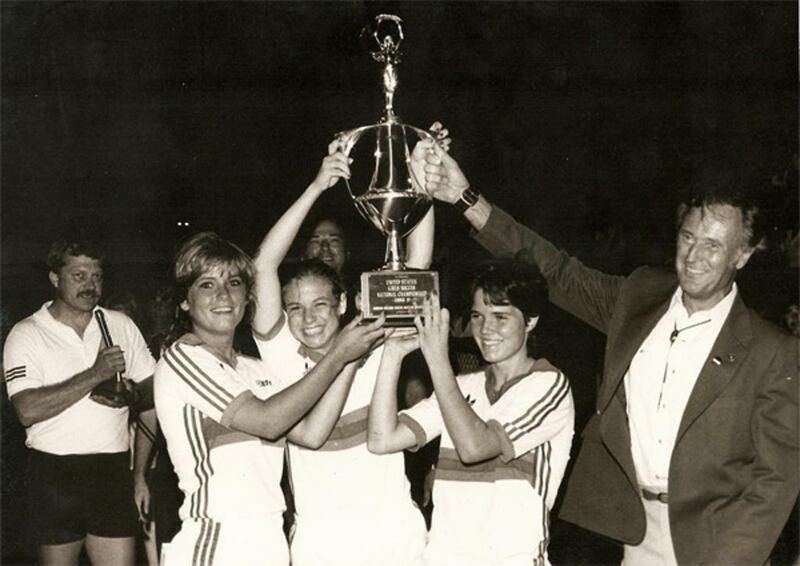 It was from the newly formed High School Girls League that Bill Kinder began the first and oldest all girls’ soccer club in the country and the first-ever Sting team in 1973, and from its inception the name stood for something truly unique. The name itself finds its origins in a popular film of the time featuring Paul Newman and Robert Redford, ‘The Sting’, and like it’s unique calling, the first Sting soccer team stood out from the beginning. Implementing a strict code of conduct, the team was to be dressed at all times in a uniform manner, socks pulled up, shirts tucked in, sleeves out, warm-ups properly zipped. Over twenty years prior to the first rules regarding how teams were to be presented in uniform, the first Sting team brought a level of professionalism unlike anything seen at the time. It was from this strict dress code that the Sting Tassels made their mark. With socks at the time being thick and cumbersome it was common for them to slip down during the run of play. In order to prevent this, the first Sting team wore garters underneath the folds of their socks to prevent them from slipping down. The tassel became a decoration to those garters and quickly became a trademark item of the club. In order to develop this young group of women into successful players and teach them life lessons well beyond the game, the model of The Sting Soccer Club focused on discipline, hard work, skill development, and fitness training that was truly uncommon at the time. From the first moment The Sting Soccer Club, and the first Sting team was formed, there was a sense of pride and discipline within which the team constantly operated. It is certain that the unique model of respect, discipline, hard work, and team unity contributed to the immense success that would follow. In 1976 the Sting Soccer U19 team traveled to Mexico to play the Mexican National Champions. They were the first Women’s team to travel outside of the United States, and the first to ever travel to Mexico. The game was played before 35,000 people prior to a division one Men’s Professional Game in Mexico City’s Olympic Stadium, a truly unique experience for this young group of girls. In 1978, as the most successful team in the United States, The Sting Soccer U19 team was the only American team invited to compete in a tournament in Taipai, Taiwan. In their first international tournament in front of 45,000 fans they finished in second place losing to Finland in the final. Perhaps the most monumental year in Sting History was in 1980 at the first-ever Female Youth National Championship. After fighting for years to have U.S. Youth Soccer host a Female National Championship, and 37 years following the first Men’s Youth U19 National Championship, the stage was set for the opportunity to truly make history. The Sting Soccer U19 team prepared with a will to win unlike any other and their immense preparation paid off when they cruised through the tournament defeating St. Louis 5-0 in the championship match. The Sting Soccer Club had won the first ever Female Youth National Championship, a feat that no other team, or club, can add to their list of accomplishments. Adding another National Championship in 1982, the Sting Soccer Club success had only just begun. In 1984, again, Sting made Women’s Soccer History. The U.S. Soccer Federation had committed to sending a team to the first ever FIFA tournament for Women’s National Teams; however, at the time the United States had no Women’s National Team. The immensely successful U19 Sting Soccer team was chosen to travel as the first ever Women’s National Team to represent the United States in Xi-an, China. The journey was as memorable as the games, having flown into an airport whose building material of choice was bamboo; flying on a plane that was so ancient it was rarely seen in pictures never mind on a runway; and having had to take a train for 48 hours clear across China; the team had an experience that was made for fiction novels. The club was set to face off against Women’s National Teams from all over the world. They beat Australia, Japan, and China before facing off and defeating Women’s Soccer powerhouse at the time, Italy, in the Championship game. The Sting Soccer U19 team was the first American team, male or female, to win a major international tournament. In 1985, The Sting Soccer Club won another National Championship. They also participated in the largest youth tournament in the world at the time, the Norway cup, which had over 1500 male and female teams. They won 1st place in the Norway cup and were also chosen as the Team of the Tournament (out of both male and female teams) for their level of professionalism, discipline, and sportsmanlike conduct. In 1987 and 1988 The Sting Soccer Club won back to back National Championships, and was also awarded the Sportsmanship award both years (a typically uncommon occurrence for the championship team). In 1991, four Sting Soccer Players were invited to join the 16 player roster for the United States Women’s National team for the first ever Women’s World Cup. Stacey Blazo-Pulpaneck and Lisa Cole-Zimmerman elected not to go, however, Carla Werden-Overbeck (who is now a Women’s National team icon playing the most ever number of games) and Tracey Bates-Leone joined the Squad. After so much nationally recognized and unprecedented success, The Sting Soccer Club began to grow. Starting in 1979 they added a U16 team, and every year or two following added additional age groups until they had established a team at every age group level from U11-U19. The Sting Soccer Club growth was purposeful and calculated so as to not diminish the history of success, unmatched professionalism, discipline and development philosophy. Perhaps the most unique part of The Sting Soccer History is not all the success on the pitch, but the lessons learned and the journey of the teams off the field. Throughout the years, the mission of the Club has been to develop strong young females through soccer. The team code of conduct, discipline, hard work and attitude that was expected of every Sting Soccer Player aimed to build character and instill a sense of pride in self and in the team. The tradition of travel placed an emphasis on broadening player education through experiencing many different countries and cultures. The Sting teams have traveled to communist China, traveling 48 hours by train from Xi-an to Hong Kong, experiencing the rice fields, the water buffalo, and 45,000 fans dressed alike and transported by 40,000 bicycles to their game. They have traveled around the Baltic Sea to Estonia, Latvia, and Lithuania and witnessed in an amphitheater on the hillside, the first time thousands and thousands of Latvian people were able to sing their patriotic songs since the Soviet occupation. They were able to take a train from Helsinki, Finland, into the Soviet Union under the Iron Curtain, and sightsee for a week under strict supervision visiting the Winter Palace, the Hermitage Museum in St. Petersburg, and Peterhof, Peter the Great’s Home estate. The Sting Soccer Club teams have been to Copenhagen; seen the Mermaid of the Sea; visited the Berlin Wall as it came down; visited the Louvre; saw the changing of the guards at Buckingham Palace. They have seen the ballet in Mexico City, the opera in Taipei, and witnessed the excavation of the Terra Cotta Warriors, one of the greatest archeological discoveries of all time. The Sting Soccer Club teams have also traveled to most major cities in the U.S. having seen West Point, Annapolis, Wall Street, the Smithsonian, Museums in NY City, and the Statue of Liberty. The tradition of travel, the cultural experience and educational value it has provided for Sting players’ over time has been invaluable. The success on the field of The Sting Soccer Club has been unprecedented. Sting competed in and won the first ever National Championship in the United States in 1980 and it has since won more National Championships than any other club in the country with a total of 11 USYSA Championships, and two ENCL National Championships. Sting has played against teams from over 30 different countries, winning nearly all of those games. One of The Sting Soccer Club’s U19 teams was the first American team to win a major international tournament (Men’s or Women’s). Another Sting Soccer Club U19 team represented the U.S. as the first ever Women’s National Team to compete in the first FIFA Women’s National Team event. The Sting Soccer Club over time has won over 50 Regional Championships, had players compete on four different National Teams, and has been successful in all age groups at some of the most prestigious national and international events. 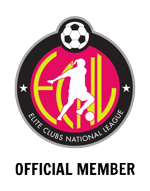 The Sting Soccer Club was one of the inaugural ECNL member clubs and Kenneth Medina sits as one of five board members for the ECNL to this day. It was the only club in the United States to have a team go undefeated in the ECNL’s inaugural season. Sting has consistently ranked within the top 5 clubs nationally from 2010-2013 when Soccer America stopped ranking clubs nationally. In the past 15 years, eight Gatorade Players of the year have been Sting players. The Sting Soccer Club has also had a Sting player in every NCAA final four in the history of division one athletics. The club has also produced more college players, scholarship athletes, collegiate All-Americans, and National Team players than any other female soccer club in the United States. The success The Sting Soccer Club has had on the field is unlike any other club in the nation. That success, coupled with the rich tradition of professionalism, high moral standards, and exemplary level of discipline, respect, and hard work is the foundation upon which this club is built, and the cornerstone upon which the club will continue to grow. The Sting Soccer Club exists to create a positive environment for female athletes to improve and develop as individuals through the sport of soccer with strong emphasis on character, work ethic, discipline, and attitude. The Sting Soccer Club, founded in 1973, is the oldest and most successful girls' soccer club in the USA. The Club has enjoyed immense success having accomplished many historic milestones in women’s soccer over the years, including winning the first ever National Championship in 1980, and winning 11 USYSA National Championships in total from 1980-2016 and two ECNL National Championships, more than any other club in the nation. The Club takes tremendous pride and ownership in the fact that it has produced more college players, scholarship athletes, and collegiate All-Americans, than any other female soccer club in the United States. The Sting Soccer Club emphasizes a comprehensive approach to coaching; emphasizing total soccer ability, teamwork, and individual skill development. This system of development is an important factor contributing to the success of Sting players at every level. The Sting Soccer Club is committed to providing consistent, organized, and purposeful instruction from a qualified and competent coaching staff. Coaching assignments are decided by the Director of Coaching with input from the coaching staff. The Club’s interest is the long term growth and development of each player, the building of successful teams, and the creation of a coaching environment that allows players and teams to achieve their highest potential and flourish. 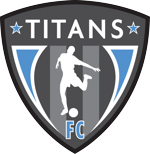 Club activities and philosophies are structured in a manner that encourages a healthy, long-term involvement in soccer. The Sting tradition promotes interaction and camaraderie not only between teammates but also between teams within the club. We work to establish proper female athletic role models for younger players to emulate. We believe in instilling high moral value and building strong player and character foundations through fundamental pillars that guide our system of development: Pride, Tradition, Character, Commitment, and Leadership. The Sting Soccer Club will seek to provide maximal player exposure for scholarship opportunities, along with state, regional, national, and international playing opportunities. Traveling to seek the highest level of competition is an exciting part of the Sting tradition. The educational value of travel is stressed in addition to the soccer improvement born of superior competition. In all aspects of coaching, administration, and player policies, The Sting Soccer Club will deal with all affairs with honesty and integrity. All players, parents, coaches, administration, and support staff, are expected to treat each other with a level of utmost respect. The honesty, integrity and respect expected is central to the Sting promise to provide a pleasant, safe, and rewarding experience for everyone involved with the Club. Players are expected to conduct themselves with the level of professionalism that has been inherent in the Sting Tradition since its beginnings in 1973. At all times players are to be uniformly dressed, disciplined in following club guidelines and team rules, and respectful and dignified in their treatment of coaches, teammates, the opposition, game officials, and supporters. The Sting Soccer Club is committed to developing excellence at every level of competition. Our goal to create complete soccer players while instilling through the soccer experience a strong foundation rooted in our pillars of development - pride, tradition, character, commitment, and leadership - is central to achieving success for Sting Players during, and well beyond their soccer playing careers. ©2019 Sting Soccer / SportsEngine. All Rights Reserved.